On this week’s Drill Down podcast, President Trump’s social media strategy, President Obama’s last act for Chelsea Manning, Nintendo’s new console, crowdfunding’s shaky ground, and much, much more. This week, Facebook Home, Anonymous hacks North Korea, Thunderbolt gets bolt-ier, Google Fiber rolls out to Austin, Bitcoin hits a bubble, Wikileaks wants to make a ‘Library of Congress’ of secret government documents, and we say goodbye to Roger Ebert. 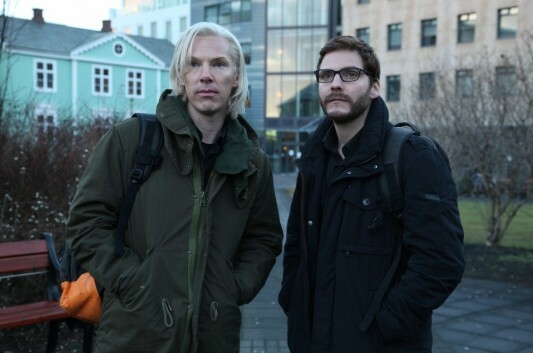 Principal photography has begun for DreamWorks Studios’ The Fifth Estate, an upcoming movie telling the story of the controversial website WikiLeaks. The movie stars Benedict Cumberbatch as WikiLeaks founder Julian Assange, Daniel Bruhl as Daniel Domscheit-Berg, Laura Linney, Anthony Mackie, David Thewlis, Peter Capaldi, Dan Stevens, Alicia Vikander, and Carice van Houten. To kick off the start of filming, DreamWorks has released the first official image of Cumberbatch from the movie, which you can check out above (click for bigger). On this week’s show, Andy and Devindra look at the trials and tribulations of OnLive, a pioneer in cloud gaming that this week faced bankruptcy, massive layoffs, and major restructuring; disappointment in the stock market for Facebook, and record-breaking success for Apple. But first, the headlines…Wikileaks founder Julian Assange finds asylum in UK’s Ecuadorian Embassy, Twitter clamps down on their API, and a long hidden security risk is discovered on SMS for iOS.